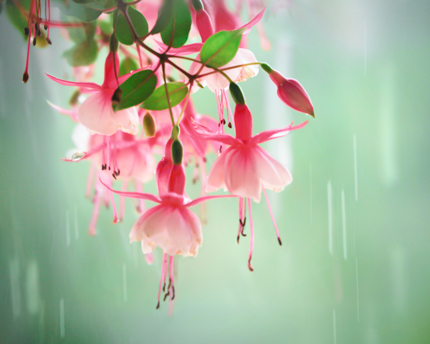 Fresh сute fuchsia flowers after the rain. Romantic wall art print in pink and mint pastel colors. Art print for home decor. This photography is printed on premium archival metallic paper with additional Matte finishes, which coats it from water, UV, fading and scuff damage and no need a glass protection. Prints on pearl paper with matte finish have a nice silvery effect.